As many of you are well aware, what you eat directly reflects how you feel. When we eat well, we feel better physically, mentally, and emotionally, having higher vitality, better concentration, improved moods and a sense of well-being. More often than not we will also experience increased energy. However, when we eat poorly, we feel fatigued, lethargic, irritable, and often lack concentration, amongst many other things. 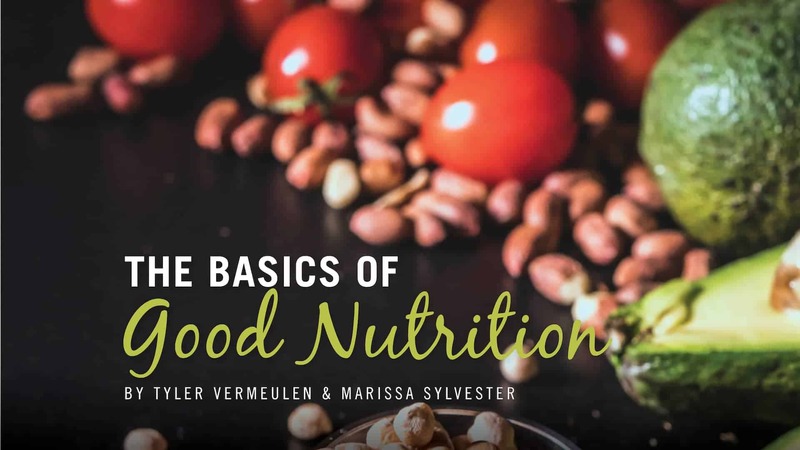 The lingering question remains: what is “good” nutrition and how does one go about achieving it? The answer is multi-faceted and at times seemingly confusing, but the simplest explanation includes finding consistency in one’s daily routine. At Simply For Life, we strive each and every day to promote good overall health through the intervention of consuming whole food. We don’t believe in fad diets, quick fixes, or restrictive eating. What we do believe in is that food can be a beneficial form of medicine, and when used correctly, can almost immediately improve health. Whole foods do not contain any ingredient lists or nutrition fact tables; this would mean the majority of your grocery shopping is completed in the outside aisles of your local supermarket. In the produce aisle, you can find fresh, local, and some seasonal produce. A bonus would be only eating what is currently in season. The majority of our daily nutritional consumption should be built around vegetables. When looking at your dinner plate, you should see half of the plate filled with veggies, and the more colourful, the better! The guideline should be anywhere from five to eight daily servings, that range from green to yellow to orange to red, to purple and everything in-between. Many of our required micronutrients needed for cellular processes are contained in these powerhouse colours. We also need these amazing foods to ensure all of our body systems work synergistically. The remaining portions of your plate should consist of approximately one quarter protein in the form of grass-fed beef, chicken, turkey, pastured pork, wild game, fish or shellfish, legumes, lentils, nuts, and seeds, and one quarter healthy starches, such as quinoa, couscous, wild rice, sweet potato, squash, carrots or beets. Finally, we need about two tablespoons of fat; this can be found in avocado, coconut, or olive oil, walnuts, almonds, cashews, and macadamia nuts, and pumpkin, sesame, sunflower, hemp or chia seeds. As nutritionists, we live and promote the 90/10 rule for a clean eating lifestyle— eating whole, natural, unprocessed foods 90% of the time, and indulging 10% of the time. But these must be on an occasional basis only. With growing rates of obesity, diabetes, cardiovascular disease, metabolic syndrome, and other health concerns, it is important to strive to eat better each and every day. Do we need to be perfect? No. But should we strive to practice healthy and mindful eating? Absolutely! Breathing in between bites of food, and chewing until food is liquid before swallowing (ideally, 25-30 chews per bite) can help prevent overeating, and can allow you to really savour the flavours in your food. The choice of good health is in your hands. Now is the time to own it. Be your own health advocate, and start your better living today. PreviousAre Your Kids Learning Critical Life Skills?